Mehmood Khan, MD, is a sustainability expert and a seasoned leader in research and development for food, pharma, and agriculture. As Vice Chairman and Chief Scientific Officer at PepsiCo, Dr. Khan oversees the company’s Performance with Purpose sustainability initiatives, inspired by the fundamental belief that business success is inextricably linked to the sustainability of the world we share. In his role leading PepsiCo’s research and development efforts, Dr. Khan develops novel technologies in food and beverage products, nutrition, manufacturing, packaging, and distribution. Dr. Khan also serves as Chair of the PepsiCo’s Sustainability Council. 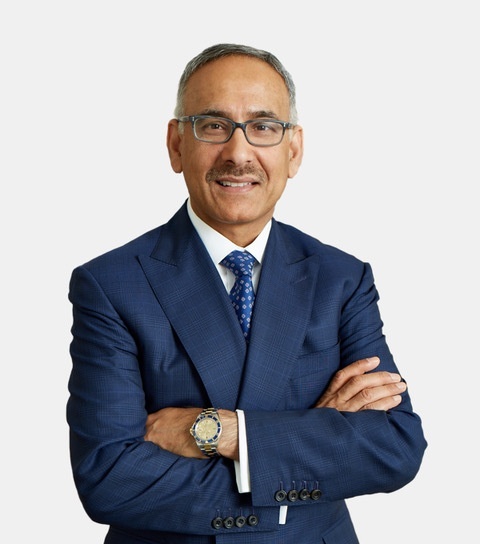 Before his role at PepsiCo, Dr. Khan led Takeda Pharmaceuticals Company’s worldwide research and development efforts as President of Takeda Global Research & Development Center. Before moving into industry Dr. Khan had an extensive medical career as a recognized expert in diabetes, endocrinology, metabolism, and nutrition, having served as a faculty member at the Mayo Clinic and Mayo Medical School, as well as the Director of the Diabetes, Endocrine, and Nutritional Trials Unit in Mayo’s endocrinology division. "I came to Indigo for the opportunity to be part of an aspirational company that’s aiming to fundamentally change our food system for the better. Indigo combines cutting-edge science and technology with agribusiness expertise in a way that’s truly unique in this industry."